If you have been experiencing poor performance in your BMW, the culprit might be the fuel pressure regulator. How can you tell if a fuel regulator needs some repair? Is there any test that you can perform to see if it will need replacements? To know if it is a problem, you must first understand how a fuel pressure regulator works, what symptoms it will display. After this then you can see what BMW Fuel Pressure Regulator Repair that may be done to solve the problem and if repair is needed. 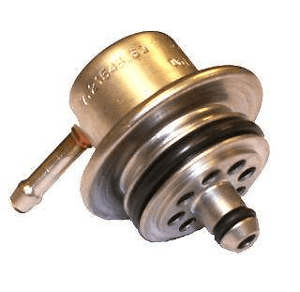 What Does a BMW Fuel Pressure Regulator Do? The job of the regulator is to do exactly that. While the fuel pump itself supplies pressure to the fuel rail, the regulator is what keeps the pressure consistent and maintains that level of pressure. It is an intricate part of the fuel system, and if it is not functioning properly, it can result in sputtering as well as a loss in performance with a vehicle running either too lean or too rich. It will also aid in the starting of your vehicle, by allowing pressure to remain in the system. What are the symptoms of a failing pressure regulator? When should you take your wheels in for a BMW fuel pressure regulator? When considering taking your car in to be serviced, you may be tempted to doing an at home diagnostic job first. Do not do this because there are special tools needed as well as you should be an ASE certified technician. The injury may occur because the fuel lines are under lots of pressure. It is best to seek a shop that is knowledgeable on BMW fuel pressure regulator repair, instead of striving to do the work yourself at home. If you have been having any of the symptoms above, or your car is not running as it should, it is a good idea to bring your car in to be looking for the possible fuel pressure regulator repair. Often the fix is just replacing the old part with a new one, and this will solve many of the issues associated with vehicles that are running poorly due to a strict regulation of fuel.